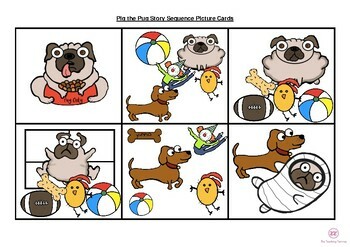 Pig the Pug Story sequencing cards. 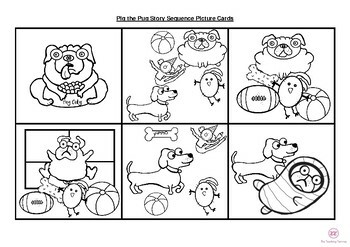 Print these for your students to cut and paste in the correct order of the story. This product has a colour and black and white copy so you can choose which to print. 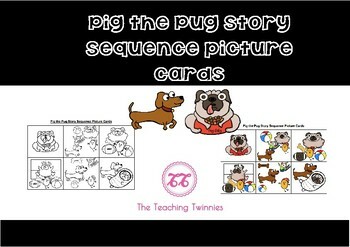 Print these cards on A3 and laminate to use as the perfect teaching resource.